night was Sparkle. Sparkle is a revolutionist and you can tell in her music. She did a song about people being happy about themselves no matter what the circumstances are. The song she did was called KOOL. She had everybody singing and saying I'M KOOL, I'M KOOL. The feeling was amazing. Shout out to James and Hudd from CUSE DVD, they came through and supported as well. After the Syracuse show we took pictures, sign autographs, and sold out selling CDs. It felt great to be able to entertain those people like that. about to get a little rest. I did what I did and got fresh feeling like a million bucks. We were on the second floor with the balcony view. I was in room 242 and Notti and Sonny Boy was in 222. Bagz came and swooped up the lights and heading up to the community center. brothers perform you would know that they are very energetic. They was running and jumping back and forth on stage and off stage. They was dancing, dapping the crowd up, I mean to feel energy you would have to be there wow. Grade A Material was another group that held it down, big shouts to them. More artists came and did their thing after awhile, the boys in blue starting coming. First it was about 10 sheriffs and then they called for backup and it was a Rapp. We ain't had no violence, no ruckas or nothing. We was showing each other mad love and you already know, some of them haters rather see us killing each other (ya dig). But we are proving them wrong by keep doing positive things. The show ended late and the next day we had to be Charlotte. made. The trip back to Syracuse was long. Sonny Boy drove most of the way, what is so funny is the only thing that could keep Sonny Boy from not falling to sleep was Alicia Key song (Unthinkable, I'm Ready). Yo, this was a memorable Tour that proved with determination comes satisfaction. Round one is over, see you in round 2 of Tha Hottest Out Tour. The first 3 dates are as follows. 1206 East Charlotte Towne Ave. 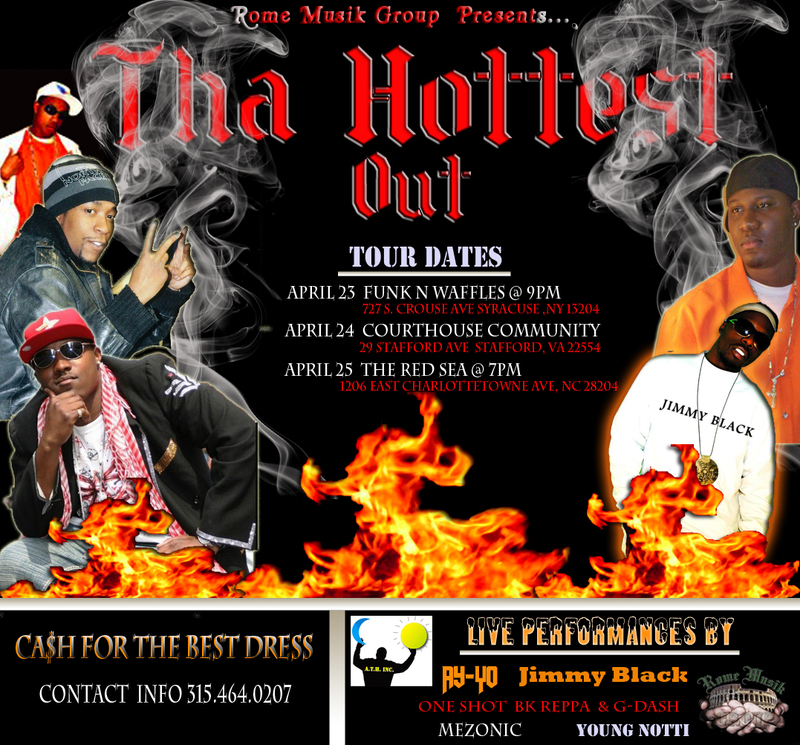 This tour features the hottest independent artists out. There will be Live performances by: Dem Scrap City Boys, Oneshot BK Reppa & G Dash, AYO, Young Notti, Mezonic, JIMMY BLACK. Special invited guest DJs will be playing the latest and classis Hits. If you know you are one of the hottest artist out as well make sure you contact us. Oneshot BK Reppa & G Dash, AYO, Young Notti, Mezonic, JIMMY BLACK. Special invited guest DJâ€™s will be playing the latest and classis Hits. If you know you are one of the hottest artist out as well make sure you contact us. 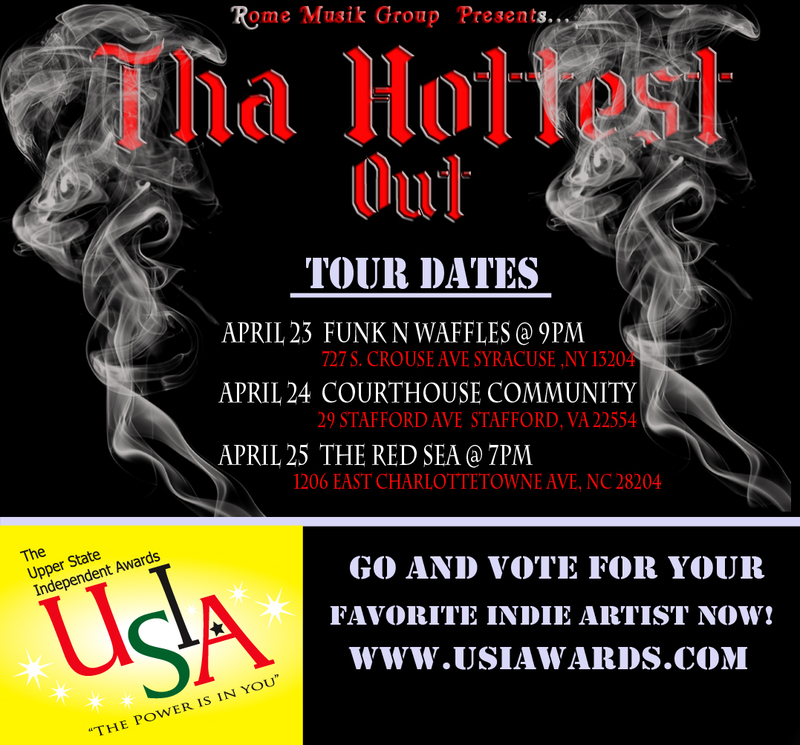 Also visit WWW.USIAWARDS.COM and vote for all your favorite independent artist. Oneshot BK Reppa, AYO, Young Notti, Mezonic, JIMMY BLACK. Special invited guest DJ will be playing the latest and classis Hits. If you know you are one of the hottest artist out as well, make sure you contact us. JIMMY BLACK CD THE WOARTH and the EP That's How We Party is available in many Chains such as Target and Amazon.com. It is on CD Baby, ITunes and many other sites. Visit www.JIMMYBLACKMUSIC.COM to purchase the CDs and other merchandise. 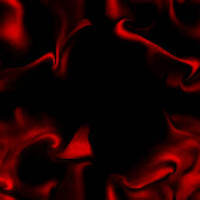 For news and info visit www.jimmyblackmusic.com or www.myspace.com/geondaloj. This will be a 21 City Tour. Throughout the tour music enthusiasts, news media, and press will be invited to capture these prodigious moments. Here are some of the featured acts: Mezonic, Ruby Edwards, JIMMY BLACK, AYO, Tina, MiL, Rinnessy and much more. 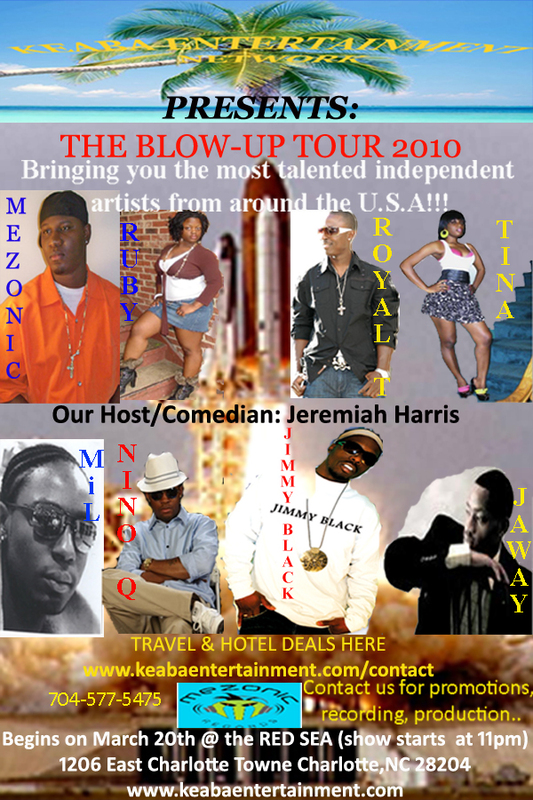 The Blow-Up Tour will be hosted by Comedian Jeremiah Harris. The tour will include some of the hottest DJ’s in each city on the 1’s and 2’s playing various hits.